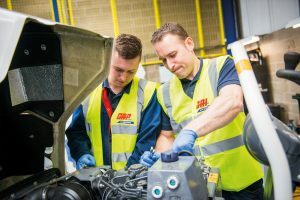 GAP Hire Solutions, the UK’s largest independent equipment hirer, has achieved a prestigious RoSPA Health and Safety Awards award in recognition of its practices and achievements in helping its staff and customers get home safely at the end of the working day. 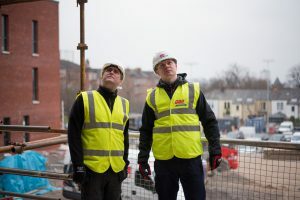 The annual awards scheme run by the Royal Society for the Prevention of Accidents (RoSPA) recognises attainment in health and safety management systems, including practices such as leadership and workforce involvement. 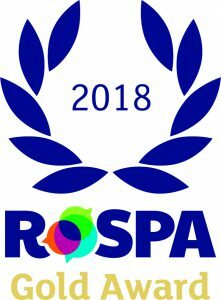 The majority of RoSPA awards are non-competitive and mark achievement at merit, bronze, silver and gold levels. Securing the Gold Award underlines GAP’s commitment to health and safety. Allister Maxwell, GAP’s Head of Safety, Risk & Compliance, said: “To receive the prestigious RoSPA Gold Award is something we are very proud of and is testament to everyone at GAP for their commitment to safety and ‘Think Safe’. “GAP views compliance as an opportunity; we regularly review every area of our ‘safe systems of work’ to determine how we can further develop and enhance our processes and procedures. GAP’s eight divisions specialise in specific product ranges from Plant & Tools, Access and Lifting equipment to Non-Mechanical Plant, Survey and Safety items. GAP also provides Welfare Services, Event Services and Vehicle Hire, meaning GAP has one of the most diverse product ranges in the UK hire industry. GAP’s Gold RoSPA Award is the ‘icing on the cake’ of its successful implementation of a proven health and safety management system which is underpinned by the internationally recognised standards including BS OHSAS 18001 ‘Occupational Health and Safety Management’; ISO 9001 ‘Quality Management’; and ISO 14001 ‘Environmental Management’. GAP will be presented with the award during a ceremony at DoubleTree by Hilton Glasgow Central on Thursday, 13th September 2018.